Anchovy Stuffed Sun Dried Tomatoes for sale. Buy online at Zingerman's Mail Order. Gourmet Gifts. Food Gifts. In the south of Italy the sun can do a lot of work for you. Like dry a field of tomatoes in a couple days, concentrating and sweetening their flavor. No need for an oven or sugar, the energy-intensive shortcuts you find firms taking elsewhere. 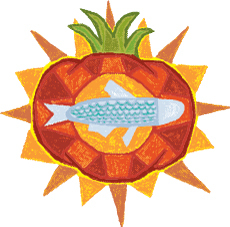 Now take the sun-wrinkled tomato and stuff it with a salty Sicilian anchovy. Now you're on to something.